Now $7 off - hurry, limited time offer! 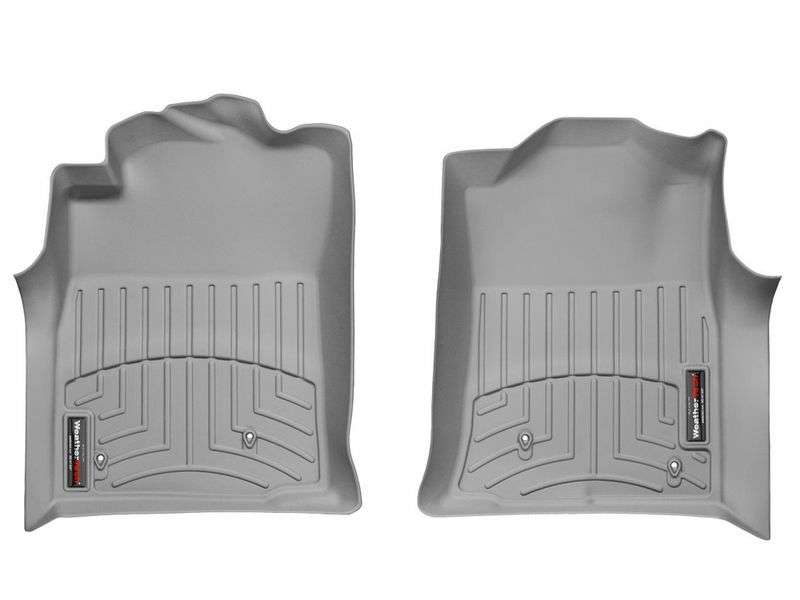 WeatherTech DigitalFit floor liners are made to custom fit the vehicles interior floor with laser measurement technology, snugly hugging the contours and trapping all moisture. Are you tired of muddying up the interior of your work truck or car's factory carpet? If so, WeatherTech has you covered, literally! DigitalFit floor liners from WeatherTech are laser cut, ensuring a perfect fit. These high grade floor mats are made out of a high density, latex-free, tri-extruded composition which includes a rigid polyethylene core with tough, tactile TPE top and bottom layers, ensuring long lasting durability, protection, and strength. The rubber-like TPE material offers firm grip to your vehicle's carpeted floor, minimizing shifting and moving around underneath your feet. Available for front, 2nd and 3rd row seats, these amazing floor liners keep your vehicle's floor completely covered. Channels and canals carry any type of fluid down to a lower reservoir, keeping clothes, shoes, and factory carpet free from unnecessary stains. If you've been looking for long-lasting, great looking digital fit floor mats that offer all weather protection and will keep your interior in mint condition, you're in the right place. A set of WeatherTech DigitalFit floor liners protect your ride's factory carpet from dirt, moisture, oil and other debris. WeatherTech floor liners are made right here in the USA. Order yours now, your truck will thank you! Each WeatherTech® Floor Liner™ is guaranteed against faulty materials and workmanship for a period of three years from the date of purchase. Exclusions to this warranty are wear due to severe abrasive conditions and chemical contamination, such as spilled gasoline, bleach, etc. Your new WeatherTech DigitalFit floor liners offer an easy installation. 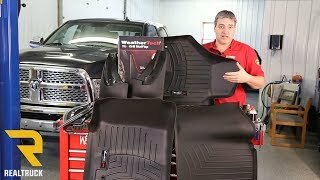 Simply take out old floor mats and replace with the WeatherTech floor liners. There is an installation manual that is sent with the product and offers clear cut and easy to read instructions if there any special requirements for your particular vehicle. For additional information or if you have any questions, please call us toll free any day at 877-216-5446 or 701-253-5906.